"Your grandmother was convinced it had magical powers. She should've brought her to me." Netflix has unveiled an official trailer for a charming, cute new holiday romance film titled The Holiday Calendar, formerly known as Christmas Calendar until Netflix realized it would play better without specifically saying "Christmas". 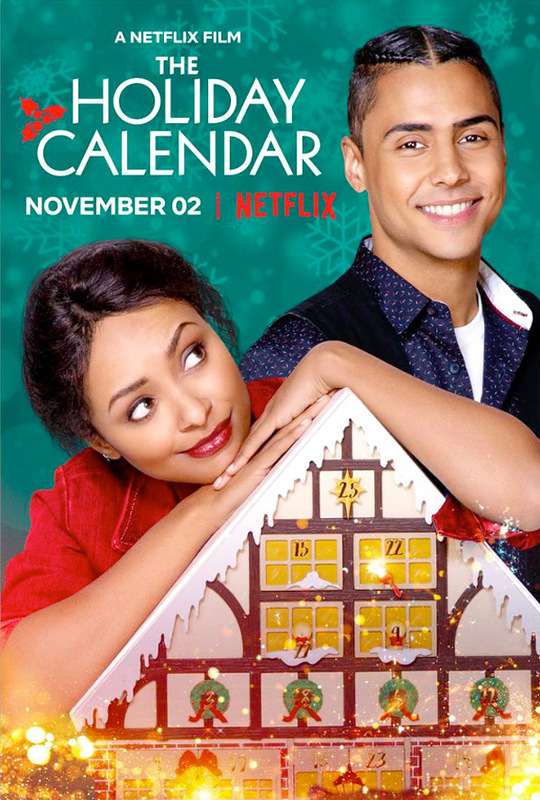 The film stars Kat Graham (from How It Ends, All Eyez on Me, and "The Vampire Diaries") as Abby Sutton, a talented but struggling photographer who inherits an antique advent calendar that may be predicting the future -- and pointing her toward love. Of course. The film also stars Quincy Brown, Ron Cephas Jones, Genelle Williams, Laura de Carteret, Ali Hassan, Romaine Waite, plus Ethan Peck. This looks extra cheesy and almost too sweet and not at all like something any cinephiles will watch. A struggling but talented photographer (Kat Graham) stuck in a dead-end job inherits an antique holiday advent calendar, the contents of which seem to predict the future. Will this magical calendar lead her to love this holiday season? The Holiday Calendar is directed by American filmmaker Bradley Walsh, making his second feature film after Transplant in 1994 previously. Walsh also graduated from NYU and has worked in TV for many years since his first film. The screenplay is written by Amyn Kaderali and Carrie Freedle. Produced by Brad Krevoy, Amy Krell and Amanda Phillips Atkins. Netflix will release Walsh's The Holiday Calendar streaming exclusively starting November 2nd this fall. Anyone interested in this one?